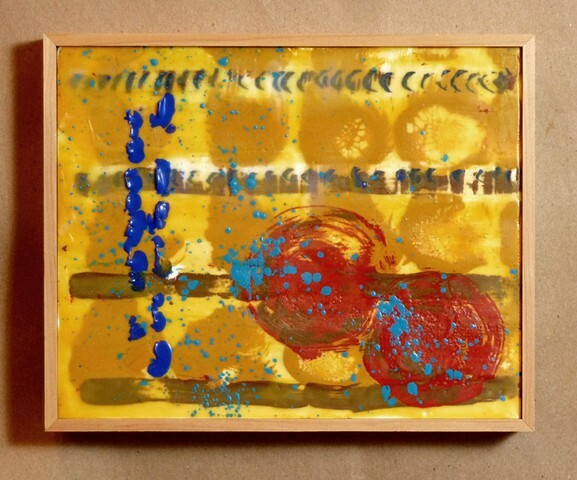 In the Spring of 2011, I took a R&F Paints class in encaustic painting (painting with hot pigmented wax) from Daniella Woolf in Seattle. This was one of the pieces I made in the class and I enjoyed taking time to just paint. You may have noticed form my work, I'm not really a painter. So this turned out better than I thought it would. I love encaustic because, to me, it works the way I wish paint would. Since the class, I've used encaustic in several of my pieces. It seems to fit with my aesthetic.